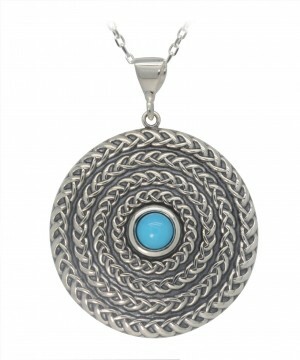 Sleeping Beauty Turquoise is a highly fashionable and sought after gemstone. Mined in the Sleeping Beauty Mine in Globe, Arizona, it is now a very limited resource as the mine was closed in 2012. The highly distinctive robins egg e of the turquoise, with no matrix, set as a stunning cabuchon round, is the perfect partner to the oxidised sterling silver. These are beautiful earrings, large, lots of presence, with an iconic American gemstone, set in a beautiful piece of Irish made jewellery. 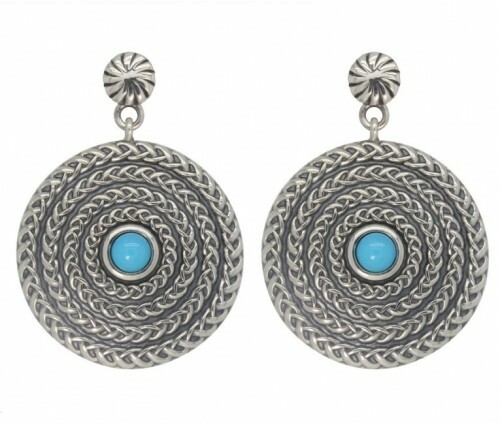 They have been designed to be front facing, so all that gorgeous turquoise is on view, and there is lovely movement in them, as they dangle from those lovely oxidised posts. Gift boxed and packaged with a storycard.